Looking For Your First Traditional Hunting Bow? The bow and arrow has a long, established history and played a critical and undeniable role in the development of our very civilization. 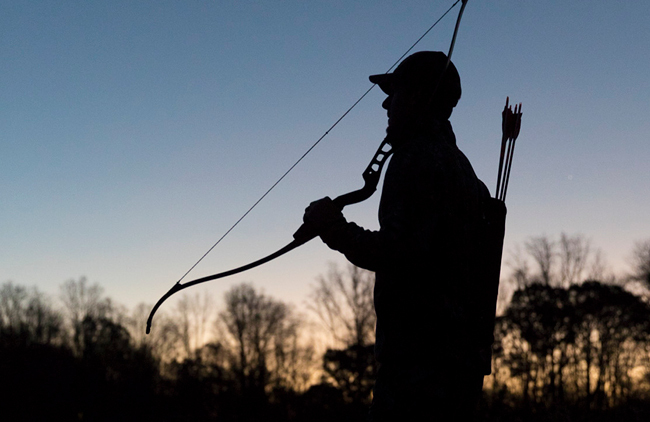 Long after the bow and arrow were no longer required for a man to defend himself or provide food for his family the sport and attraction of archery continues. Archery has some sort of mystical attraction. It is literally impossible to watch someone shooting a bow without wanting to give it a try. The majority of today’s archers are compound shooters taking advantage of the latest technology. However, there has always remained a core of traditional archers who in essence let time past them by as they continued to shoot, longbows, recurves, arrows with large helical feathers, while shooting barebow, (without sights), with fingers as opposed to today’s popular releases. In spite of all the advances made to archery equipment, traditional archery is not fading away but instead is continuing to grow. Archers who have remained traditional shooters are now being joined by shooters who entered archery during the growth of the compound and had never shot traditional equipment but are anxious to try. Young shooters and families are also attracted as the equipment is simpler, less expensive and is not size specific meaning a family might have one or two bows that everyone can shoot. You might ask why people might choose to shoot traditional equipment when compounds are readily available. There are many forms of archery that involve different equipment. Some people are dedicated to crossbows, compounds or traditional gear. It is simply a choice but for the most part, the attraction to traditional equipment is spurred by the desire to enjoy archery in its simplest form, the increased challenge and simply for more fun. If you talk to an archer that is a serious tournament shooter how they are doing and they will say things like, “I’m down 2 or down 4.” They often judge themselves as to how far they are from a perfect score. A traditional shooter, on the other hand, gets great satisfaction from just watching the arrow fly towards the target. Follow a group of traditional shooters around a 3-D course and you will hear a lot of laughing and joking. An arrow that misses a deer 6 inches over the back is normally met with someone exclaiming, “Wow, you almost got him!” it seems as if you never hear a negative comment from a traditional archer, they simply enjoy shooting their bows and look for every opportunity to do so. That is not to mean that traditional shooters are not serious shooters as there are some very skilled traditional shooters. Traditional bows come in several models, allowing the shooter to select one that best suits their style of shooting and is most attractive to them. Some shooters prefer simple longbows which best resembles the bow design we relate to the Robin Hood era. A simple one piece straight bow. This style is often preferred by exhibition shooters as it is extremely forgiving, meaning that shooting errors are not magnified as they might be on a faster bow. 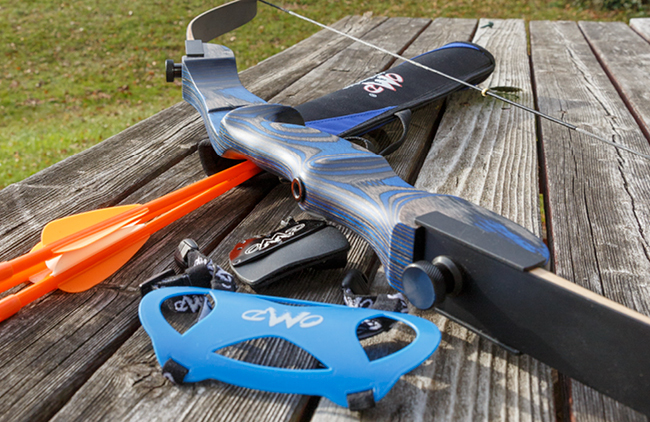 Another and more popular model is the recurve. These styles were born of Turkish design where the Turks wanted shorter, faster bows. Wooden recurves are quite popular among traditional shooters. 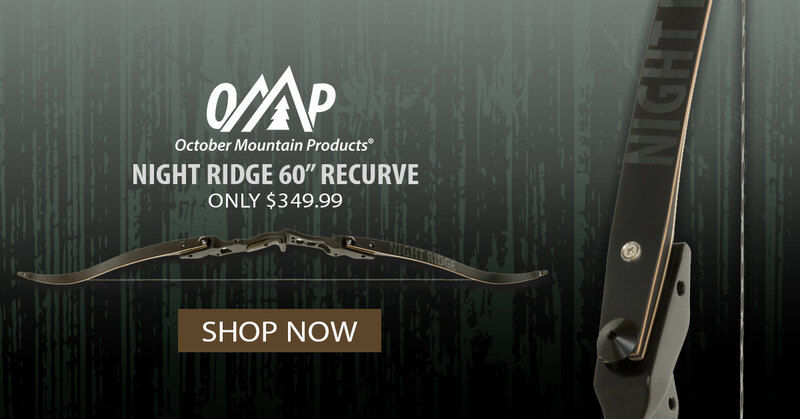 Recurves are available as one piece bows as well as “take-down” models. Take-downs normally consist of a handle with removal limbs allowing the archer who desires to have one handle with multiple sets of limbs in different weights or lengths as desired. This allows the archer to change their set up from target to hunting as desired. Take-down recurves are available with wooden or metal handles depending upon the desires of the user. 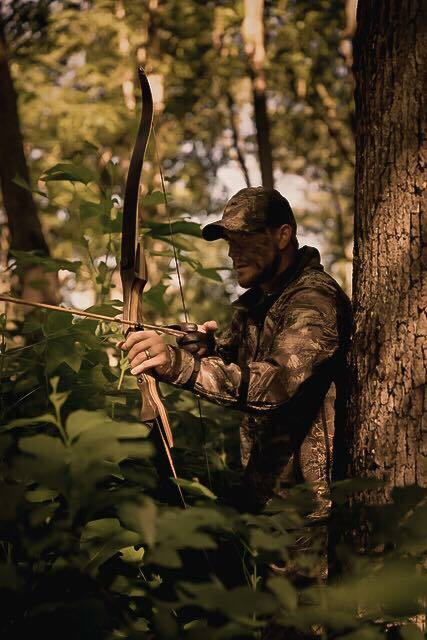 Aside from the ability to change limbs easily another advantage of take-downs is the ability to take the bow apart for travel or storage. Traditional bows are available in right or left-handed models. Bows are normally rated by weight at 28-inch draw unless others marked. A 45-pound bow will require 45 pounds of force to draw the bow a length of 28 inches. 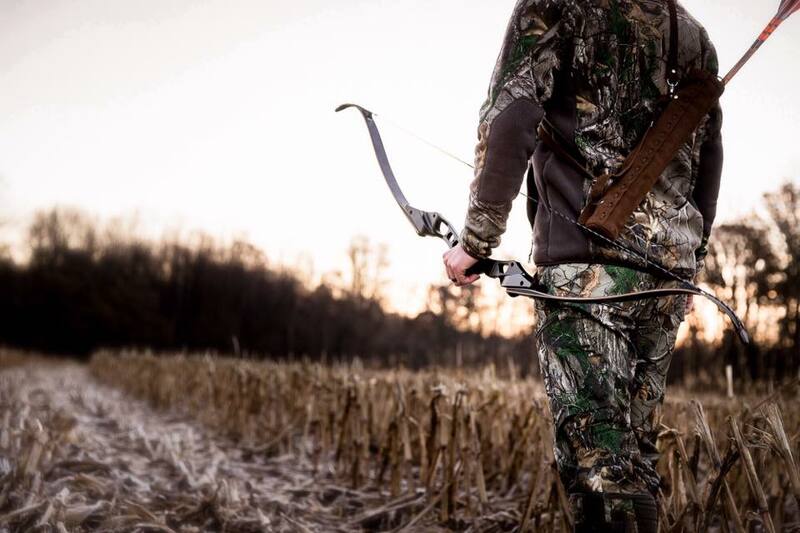 If the bow is drawn long, let’s assume 29 inches or shorter, let’s assume 27 inches, you can add or subtract 2 or 3 pounds per inch to know how heavy your bow will be at your draw length. When possible it is best to try the bow you intend to buy or one with similar specifications. Bows come in various lengths. Longer bows are normally preferred by target shooters or tall persons with longer draws. 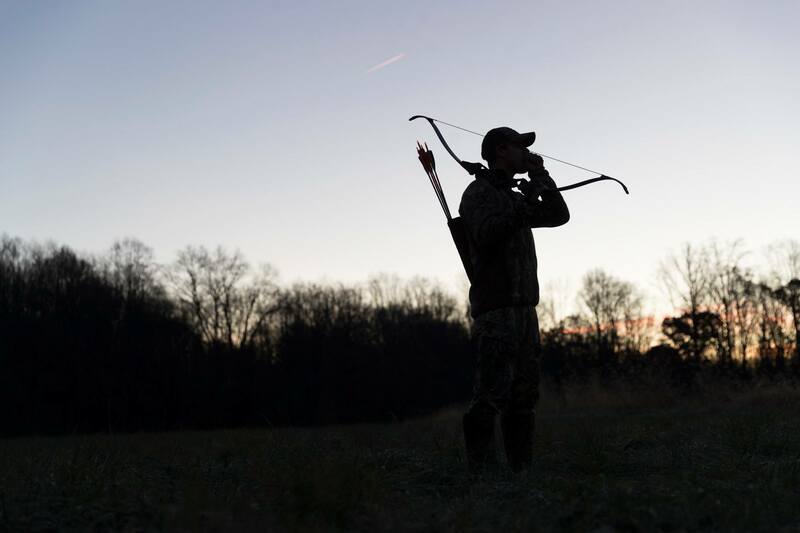 Shorter bows are better suited for recreational shooting or for people of smaller statures. An important consideration when selecting bow length is also your draw length. As an average, a 62-inch longbow is well suited for a 28-inch draw as it provides a comfortable string angle for the fingers when drawing the bow. A shorter bow for a person with a long draw results in a sharp string angle and more “finger pinch”. A person with a long draw should use a longer length bow while a person with a short draw can easily use a shorter bow. Using a short bow for the archer who has a long draw can result in an extremely sharp string angle for their fingers when the bow is drawn making it both uncomfortable and difficult to shoot with fingers. Sights can be mounted on traditional bows if desired but the vast majority of traditional shooters choose to shoot barebow which uses the same mental, physical combination similar to that of throwing a ball. A ball does not have a sight yet your body and brain automatically makes the calculation as to force required to hit the target at any given distance. The same thing happens when shooting a bow barebow. Practice makes perfect. Wooden arrows fletched with turkey feathers was the norm for traditional shooters for years. While wooden arrows are still available for traditional shooters many select fiberglass, aluminum or carbon arrows for safety reasons. Wooden arrows must be inspected carefully periodically and any arrows showing signs of a crack must be discarded to avoid an arrow splintering on the shot causing possible injury to the shooter. Natural turkey feathers are the traditional shooters first choice as opposed to plastic vanes common with compounds. 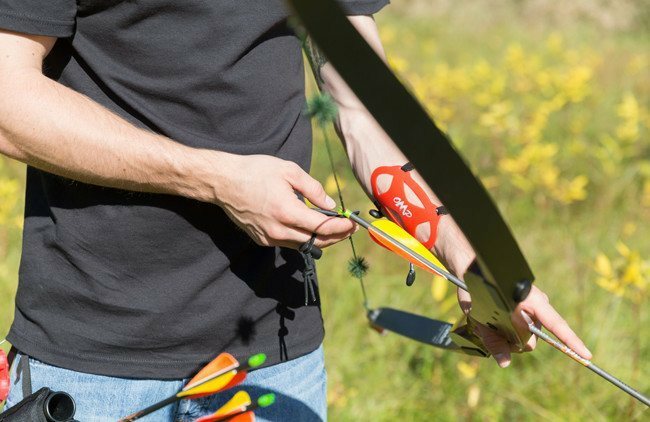 Feathers offer less resistance when passing the bows riser and large helical fletching provides excellent guidance for the arrow and are much easier to see in flight. Several arrow manufacturers offer carbon arrows that have a “wood grain finish” for the archer who wants the latest in technology and accuracy but wants to maintain the traditional look. 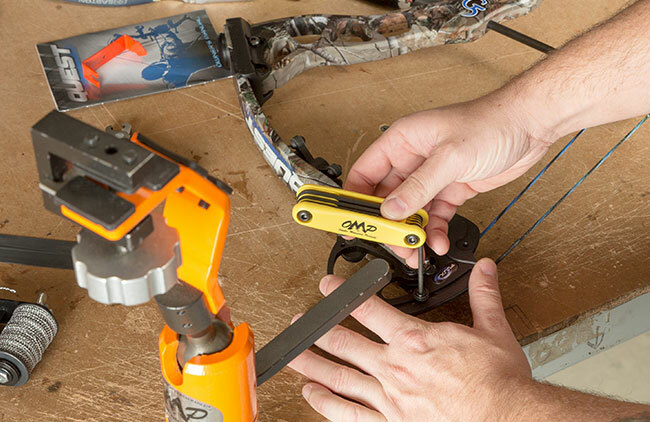 A finger tab or glove is needed to protect the fingertips of the shooter when drawing the string and an arm guard and a quiver are all that is required to start shooting. It is not difficult, expensive or complicated to get set up with traditional equipment. Traditional shooters are welcome at any archery range, indoor or outdoor. To set up your own range all you need is a lightweight portable target to basically start shooting in any safe area. Once you get comfortable shooting your bow you will be ready to branch out and look for other shooting opportunities. In addition to target shooting, there are hunting opportunities. Once you are skilled enough to keep all your arrows in a paper pie plate at 25 yards you can start to give hunting some serious consideration. You may find some local tournaments or a 3-D shoot where you can meet other archers or you might just want to head out into the woods with a friend for some random “stump shooting”. Bowfishing is a great summer pastime and there could be some traditional “fun” shoots in your area as well. A major traditional shoot is held each year at Denton Hill, Pennsylvania. The shoot at Denton Hill is known as the Eastern Traditional Archery Rendezvous which draws traditional shooters from all corners of the world. Held at the end of July it is a four-day event that offers camping, vendors, endless 3-D targets, moving targets, flying targets and everything in-between. There is no scoring or winners, it is all about shooting as many arrows as possible and having fun. There are targets of all descriptions with special ranges for the kids. Check it out on the web for a good overview. There are many good books on traditional archery, one of which is Become The Arrow by Byron Ferguson which is well written and focuses on the proper shooting techniques of a barebow shooter. Archery is a family sport and so is traditional archery. There is plenty of good equipment for the youngsters in the crowd and don’t be surprised if they soon are doing better than the adults in the group.